It seems that something is always popular and going “viral” with kids. Last year the water bottle flip was all the rage, now it’s slime. Making slime, playing with slime, videos of slime. 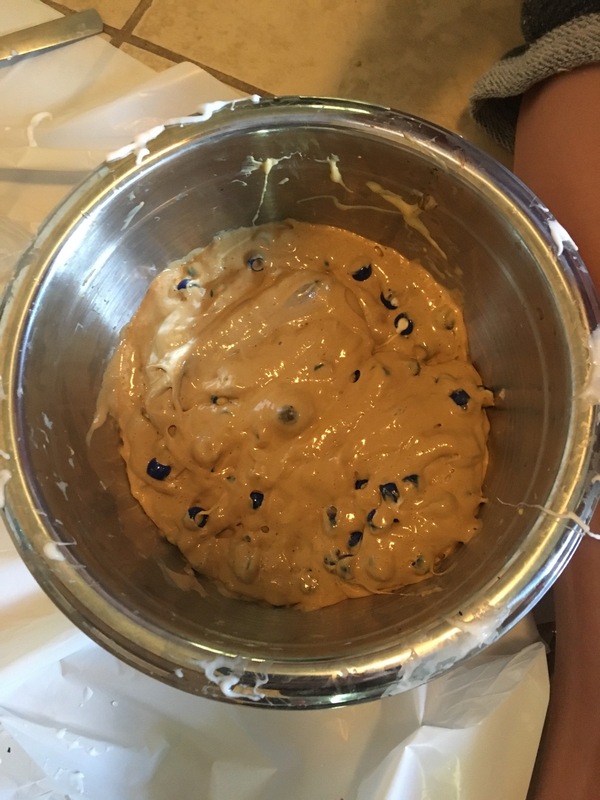 They have slimes that are colorful, glittery, and even slimes that look like foods, such as cookie dough. And because of this strange new trend, my house has slime everywhere. 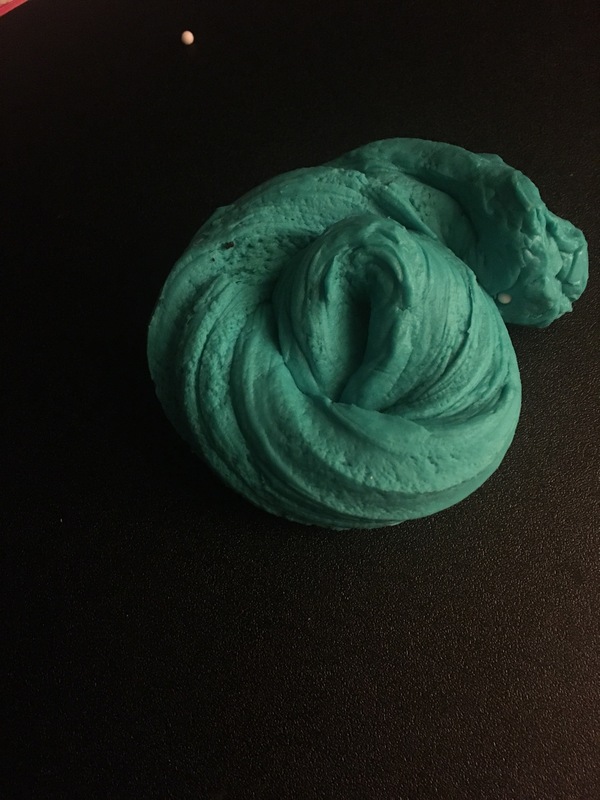 My 9-year-old daughter loves slime and even started making it and selling it to her friends. I don’t usually let my kids get involved in all the trends, but slime was different. For her, it has been a great creative outlet and gives her something to play with to keep her overactive mind busy. 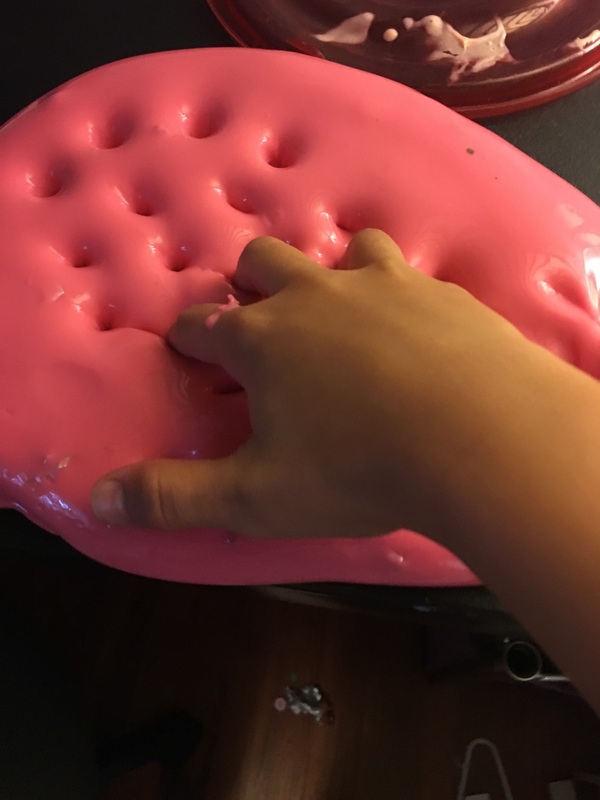 I especially like the slimes that are closer in texture to putty because they can go places with us and keep her entertained without creating an absolute mess. So while I might not enjoy all of the slime around my house, I do love the way she gotten so involved and really bloomed in her creativity. Selling the slime has taught her the value of things and has given her excitement for saving her earnings and buying things that she really wants. 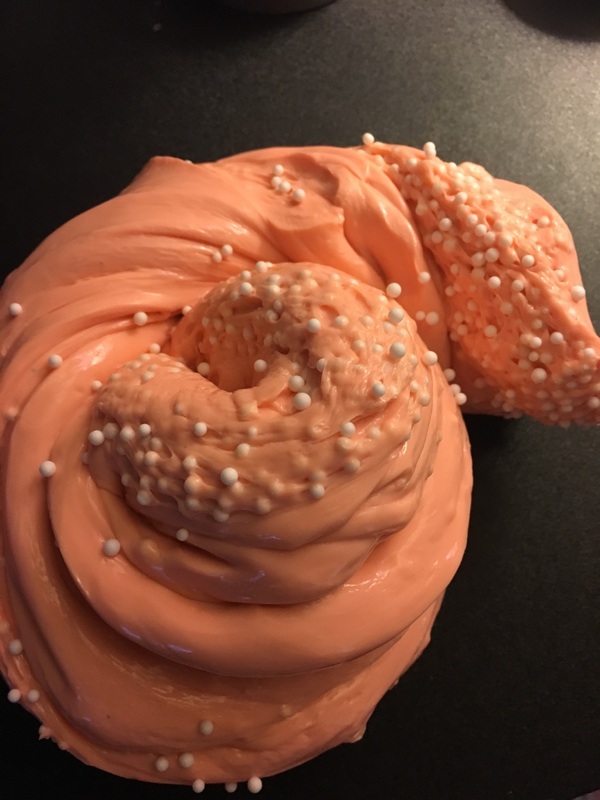 Here is one of the best DIY slime recipes I’ve come across because it doesn’t use any harsh chemicals like Borax. – Pour baking soda into a mixing bowl. – Mix a small amount of dish soap into your baking soda. (The color of your dish soap will determine the color of your slime, but you can add food coloring as necessary.) Gradually add more until you have a creamy, solid substance. It should look kind of like pudding. If you add too much soap, just add a bit more baking soda. – Enjoy playing with the slime!